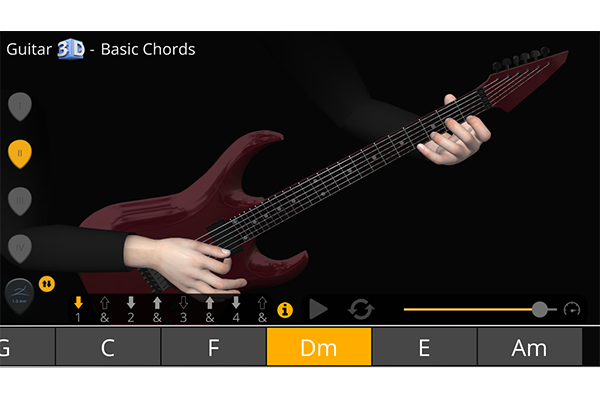 Strum is an well-known playing technique of the guitar beside using arpeggio playing style. 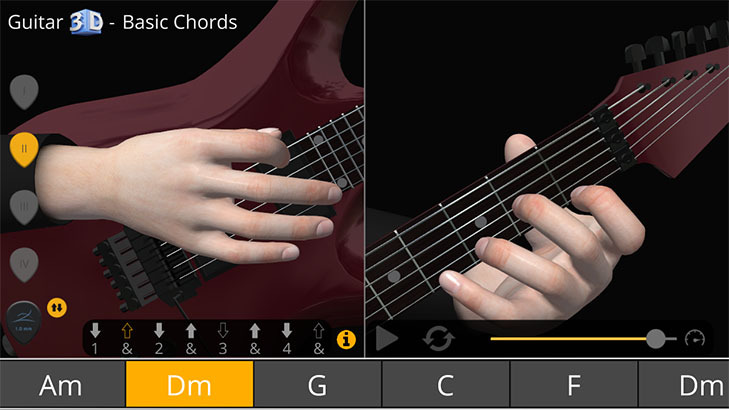 When playing chords on the guitar, strums are an easy way to create rhythmic patterns. Down: When learning a strum pattern, this sign shows the time that strum hand swipes strings to down direction. Up: This sign shows the time that strum hand swipes string to up direction. Down Miss: This sign shows the time that strum hand does not touch the strings. Up Miss: This sign shows the time that strum hand does not touch the strings. Mute: This sign shows the time that strum hand mutes the strings with palm. Thanks for your feedback! We will continue adding new features! Please follow the upcoming features on our facebook page and News section of web page. Please, add more chords. Beutiful app.